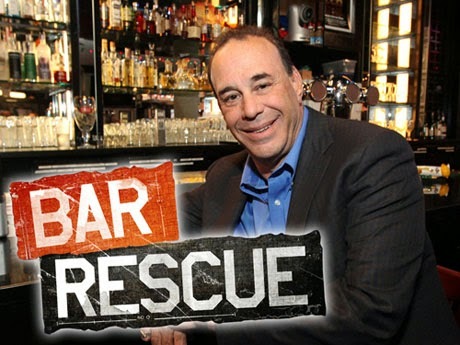 The next season of Bar Rescue is scheduled to begin March 9th on Spike TV according to Jon Taffer. Many people have been asking Jon on Twitter when the new season will be on TV, and he has responded to them stating that it will be on March 9th. March 9th is a Sunday, so the show will continue to air on Sunday nights. In the meantime, I am sure there will be plenty of re-runs shown on Spike TV, so you can still get your Bar Rescue fix. I will continue to have updates regarding the show on this website and let you know if any more bars close. I also may do some updates on some older episodes to let you know in more detail how those bars are doing. To see the current list of bars on Bar Rescue that are open vs closed, and for more details on each of them, visit our Bar Rescue Update page. I live in Houston, TX. and two weeks ago they were out here filming two bars. One was called "End Zone" on the West side of Houston and is now called "Houston Sports Hub". It was a sports bar before and after the revamp, and the interior was decorated like a general sports theme with basketballs hanging on the walls and decor made it look like you are at a baseball stadium. New sound system for live bands, and a great menu. I wasn't able to confirm who came to do the revamp because the bar is under an NDA but they COULD tell me that it wasn't Duffy doing the food. Speaking of the food, it is all baseball stadium fare style, with hot dogs, nachos and really good looking other fare (two of them were cotton candy-based foods). I tried a few of the drinks that were concocted by the Bar Rescue staff, and they were good. Our bartender definitely appeared out of sorts, and she was the only one struggling. I have a sneaking suspicion we'll see her quite a bit as a "slowpoke" on the show. She made good drinks, but it took upwards of 5 minutes for their specialty drinks. Everyone else was great. My wife and I used to be regulars several years ago and it was always packed. Something must have happened to cause it to go downhill, I wouldn't suspect them of being in trouble at all. The other is in Katy, TX on the West side of Houston (and 5 minutes from my house). It was called "Bryant's Ice House" and is now called "Wildcatters" for the Oil & Gas industry, which is really big here. That episode should be rather interesting. Any way, if you were keeping a list somewhere of reported bars for Season 4, here you go! My brother in-law works at End Zone!!! I cant wait to see this new episode!!! Quite possibly - if it's in Texas, then that has to be it. I can't say for certain, but I'm almost positive that End Zone was owned by two people - though maybe in the year or two that I stopped going, one of the owners pulled out, which is why the synopsis states "bar owner" instead of "ownerS". I've heard from a friend that frequents the place that "Taxed Out in Texas" could be Wildcatter. I don't know if the owner is a former tax accountant though, but I am pretty sure that the End Zone owner wasn't formerly an accountant. If I were a betting man, I'd have to say this weekend (if it IS Texas) would be as you think as well - End Zone, and the April 7th one is Bryant's Ice House. RE: The prostitution note above - it was mentioned to me by some friends on Facebook that went there YEARS ago as a one-off comment, so I wouldn't put too much faith into it. But if it did happen, I would expect that rumor to make the show since it would probably make great reality TV show fodder. I don't know if I personally believe it though. I've been to Wildcatter (aka Bryant's Ice House) several times since the revamp, and I personally love it. The place usually has a great crowd on weekends and is doing pretty OK during the weekdays I've been there. I've taken several people there with me that didn't know it existed either and they've all really enjoyed it. They have an outdoor stage area that will surely get used now that we (as in the United States) are now beginning to thaw out from this brutal Winter! Just my .02! FYI, End Zone will be May 4th, so that would probably make Bryant's on April 6th and the Taxed out in Texas one.